“Behold, I am sending you like sheep in the midst of wolves; so be shrewd as serpents and simple as doves.” This was what Jesus told His followers (and this was from the Gospel reading at Mass last Friday, Mt 10:16-23). Today’s reading, Sunday, July 15, 2007, is about the “Good Samaritan” (Lk 10:25-37). All Pro- Life workers and sympathizers who pray – that is the first responders to the “culture of death” surrounding us – would do well to remember these four images: “like sheep”, “shrewd as serpents”, “simple as doves” and “Good Samaritans”. These four images tell us a lot about what the Pro – Life movement has to be in order to be effective. Yes, the “culture of death” fits the wolf description. Even more, it is well-described by another image from Jesus: “Beware of false prophets, who come to you in sheep’s clothing but inwardly are ravenous wolves” (Mt 7:15). 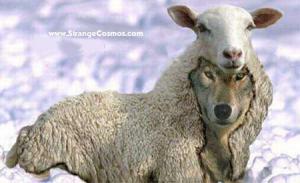 False prophets are definitely ravenous wolves. In his Gospel of Life encyclical John Paul II spoke about these “false prophets” and their “objective ‘conspiracy against life’ involving even international institutions…the mass media are often implicated…” (#17). On the other hand, the “sheep” know the Good Shepherd’s voice and He calls to them, guiding them, encouraging them, protecting them. The “shrewd serpent” is shrewd on offense and on defense, on offense when going out to build up the “Culture of Life” and on defense when protecting the innocent and vulnerable. “Simple doves” are focused on their mission and intent upon accomplishing it, without detour or distraction, and according to the clear and abiding “will of God”. And the “Good Samaritan” has a good heart and does what is right, with love, consideration and without counting the cost. All four images are linked to living by faith; faith in the One who became man for our sake so that He would be with us always, and in all ways except sin. These four images can give us perspective and like the four legs of a table can support us in this difficult assignment. Just as the “Good Samaritan” is an image of healing, so the pro-life movement is meant for healing – “for the healing of the nations” (Rev 22.2).